Washington D.C., Apr 4, 2017 / 05:55 pm (CNA/EWTN News).- The United States has ended funding for the United Nations Population Fund (UNFPA), saying the agency’s support for Chinese population control programs violates an amendment banning funds for partners of coercive abortion or sterilization programs. “This determination was made based on the fact that China’s family planning policies still involve the use of coercive abortion and involuntary sterilization, and UNFPA partners on family planning activities with the Chinese government agency responsible for these coercive policies,” the U.S. State Department said in a letter to U.S. Senate Foreign Relations Committee Chairman Bob Corker. The move ends $32.5 million in funds for the 2017 fiscal year, Reuters reports. The money will instead go to the State Department’s Global Health Programs fund. Those monies are used by the U.S. Agency for International Development to support family planning and maternal and reproductive health. In 2015, the U.S. government was the fourth-largest voluntary donor to the Population Fund, giving $75 million. The population fund said the claims were erroneous, saying its entire work “promotes the rights of individuals and couples to make their own decisions, free of coercion or discrimination.” It said its work has saved tens of thousands of mothers from preventable deaths and disabilities. The Kemp-Kasten Amendment bars funding for any organization or program that the U.S. President determines to support or participate in coercive abortion or sterilization programs. Littlejohn had called for further investigation into the Population Fund at a March 23 panel her organization held at the United Nations Commission on the Status of Women. Her remarks cited several instances of coercion in abortion and sterilization. She cited a sterilization campaign begun in April 2010 in Puning City in China’s Guangdong Province, which set a goal of sterilizing 9,559 people. Littlejohn charged that those who refused were detained, along with their family members. She also cited a May 4, 2016 article from BBC News, “Reinventing China’s abortion police,” which describes a Chinese official in Shaanxi province as a “birth-control enforcer” screening women for illegal pregnancies and telling women who cannot afford the fines to have an abortion. 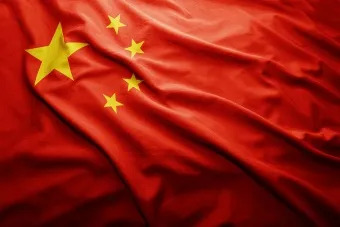 The coastal province of Shandong is particularly strict, with illegal detentions for those accused of having children without official approval. In 2002 the U.S. ended federal funding for the Population Fund after an investigation under then-Secretary of State Colin Powell found that it was complicit with Chinese officials’ coercive implementation of the country’s one-child policy. The Obama administration had restored this funding in 2009. Women’s Rights without Frontiers offers a support network to Chinese women pressured to abort or abandon their daughters, providing monthly support for up to a year. 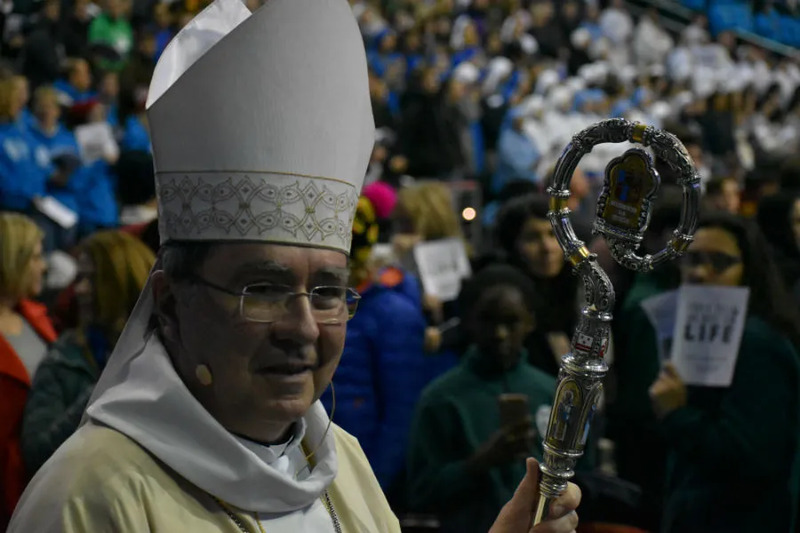 It aims to combat the practice it characterizes as “femicide” or “gendercide,” the selective targeting of baby girls for abortion. Littlejohn has said the Chinese government should implement a similar program to save baby girls. A sophomore college student studying political science, Miriam Miller, 18, dreams of becoming a strong and influential advocate for humanitarian causes. Initially, Miller felt fear and doubt when considering a career in politics. Not wanting “to be mean, argue, tear people apart” in her future career, Miller’s was encouraged when she discovered, through an exploration of the Church teachings, that she “didn’t have to” embody those qualities in order to be successful and happy in her desired field. “That’s not who I am as a person,” she added. “I don’t want to feel like I have to be this weird little mutant of myself,” Miller said. And, thanks to the feminine genius, she doesn’t have to. Miller told CNA that in her experiences attending seminars and events with political leaders, she has encountered some women who seem to avoid anything that might make their femininity stand out. There was a noticeable expectation for women to almost go out of their way to “not look cute,” she said. Women shouldn’t have to feel like they should hide their feminine qualities out of the fear of harassment, she added. “Women have kind of lost that feminine grace, which is a good thing… and it’s sad,” Miller said. God made women with their own unique qualities–the feminine genius–and those should be celebrated and used to further his kingdom, Pope St. John Paul II taught. Miller said that until she learned that, there were qualities “in myself that I hadn’t allowed to grow because I was told it wasn’t good,” she said. Until Miller realized she didn’t have to hide her femininity, or her perspective, she doubted her aspirations, and her ability to have the future she hoped for. Embracing the feminine genius gives women power to positively influence the world, John Paul II wrote. Women humanize the world–their talents socially and emotionally have the potential to create a “civilization of love,” as John Paul II said–a peaceful society that strives to imitate and exemplify God’s perfect love. CNA’s Managing Editor Michelle La Rosa also sees the feminine genius at work in the workplace. Her interests began in political philosophy, and they translated easily to journalism when in 2011 she began working for CNA in Washington, D.C.
La Rosa, the only female editor at CNA, says she brings a unique contribution to “editorial discussions or in different viewpoints or working with people,” complementing the perspective of her male colleagues. “Our editors here collaborate really well because we all have very different strengths and weaknesses and very different backgrounds. But I think part of that feminine genius is just kind of seeing the… more human side of things,” said La Rosa. 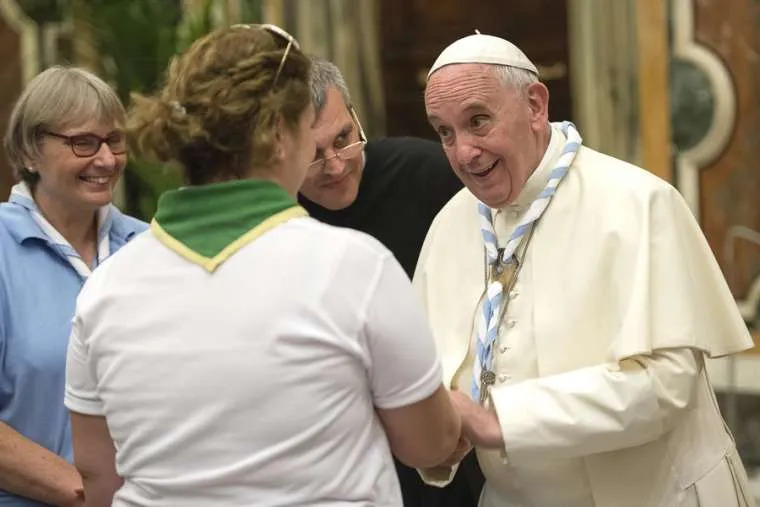 “Much more important,” the pope said, “is the social and ethical dimension, which deals with human relations and spiritual values.” This, he said, is where the feminine genius is uniquely important. “As a rational and free being, man is called to transform the face of the earth. In this task, which is essentially that of culture, man and woman alike share equal responsibility from the start,” he wrote. 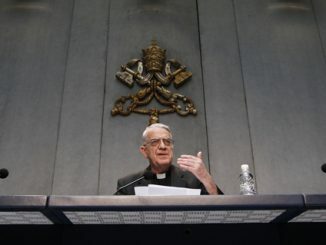 “Recognizing the unique gifts and talents of what it means to be a woman is not to degrade men, but it’s to recognize that complementarity and the ways in which men and women can really build off of each other and work together to build up the church and society,” La Rosa said.